Summer in the Northeast is the perfect embodiment of the 80 / 20 rule: we get 80 percent of our outdoor activities in during the 20 percent of the year when the weather is nice. 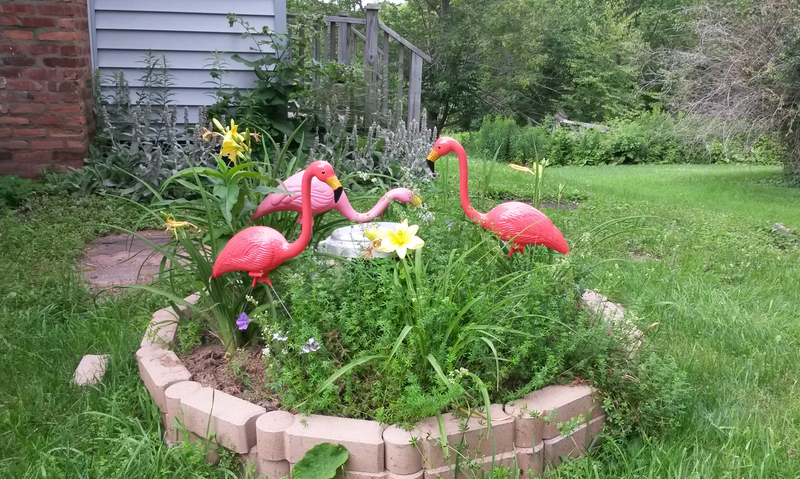 We really are having a lovely summer so far in New York, and as a consequence I am not spending a lot of time at the bench, or writing blog posts for that matter. The emphasis has shifted to operating for me this summer, preferably out doors, portable QRP. 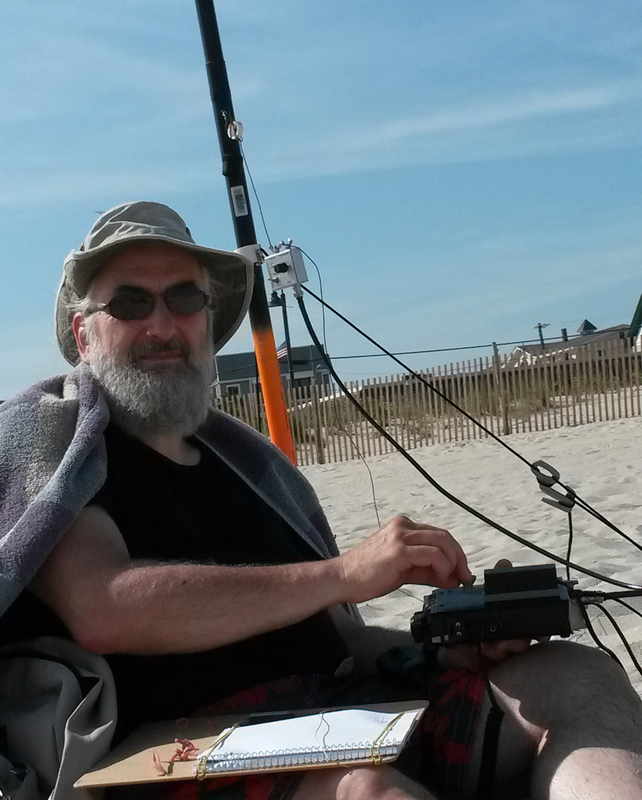 My first efforts along these lines was a shot at sea side QRP CW from Cape May New Jersey early in July. Using a 20 foot crappie pole as a support, I put up a 20 meter end fed half wave antenna in a sloper configuration, and launched a mighty signal (about 2 watts) skyward using my FT-817 and a slew of NiMH batteries. I got curious inquiries, and actually some encouragement from passers by on the beach, but my signal was so puny I wasn’t even picked up on RBN. Also, there was S9+40 noise from some source near the beach, so I probably wouldn’t have heard a reply if there had been any. And yet, it was really enjoyable to try. I view portable QRP efforts like fishing: sometimes you get a nibble, sometimes not, but the trip is always worth it. The main story that has been unfolding this summer is that of setting up a new QRP station. It is something of an involved tale, so let’s go to the beginning and follow it along. 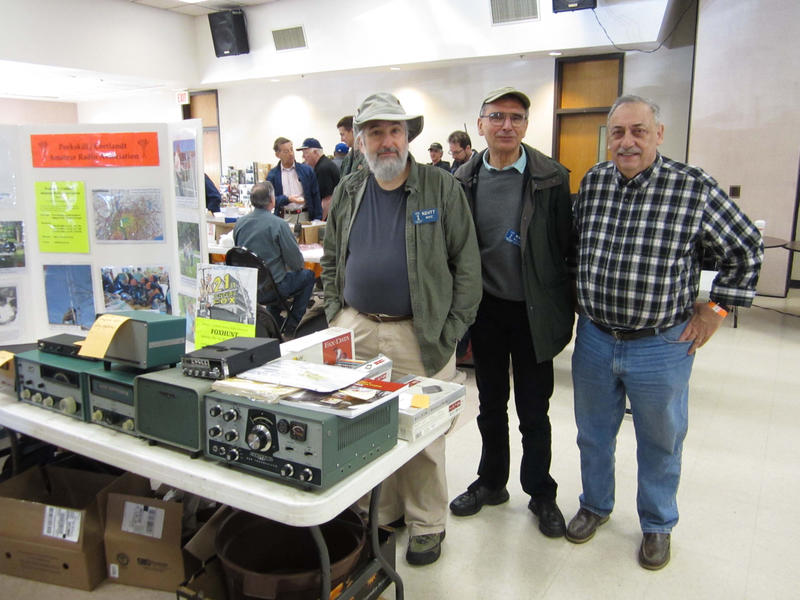 Back in April of last year, I was selling my HW-16 station via the PCARA club table at the OCARC hamfest. It was a complete station, including a VFO and a matching Heathkit speaker. A photo of the event appeared in our club newsletter, and my fellow club member and good friend Karl Zuk N2KZ had noticed the HW-16, and specifically the speaker, in the photo. This April Karl sent me an email, asking whether I still had the speaker. As it turns out, by the time Karl has asked, the station was gone, but I had another similar speaker that was paired with an HR-1680 Heathkit receiver. Since I was intending to part with the HR-1680 anyway (the Heathkit gear is cool, but mostly too large for the spaces I have available) I offered the speaker to Karl gratis. Karl countered with another offer: he had a homebrew, tube QRP transmitter that had been given to him, and would I be interested in a trade? Absolutely! 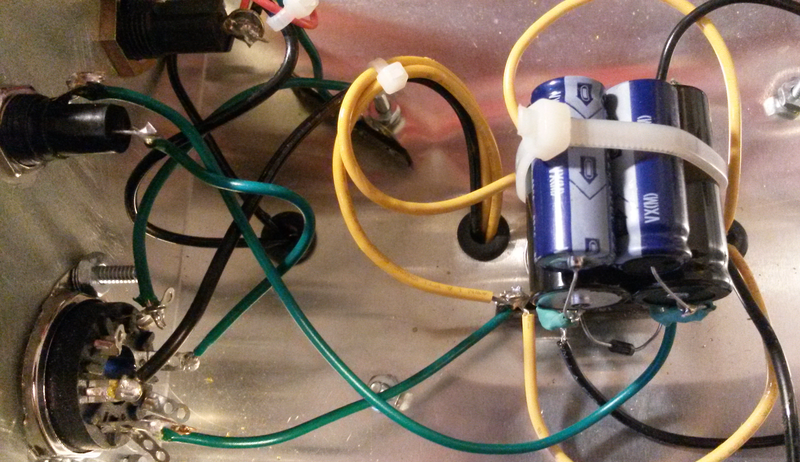 Tubes, homebrew, QRP, potentially dangerous voltages, what’s not to like? So we agreed to a swap. Karl and I exchanged a few emails trying to set up a date to meet, but it wasn’t until the middle of May that we were able to post up. Shortly after of Karl’s first email, I decided to re-arrange my QRP stack to use the HR-1680 receiver (but not the speaker) instead of the FT-817 with my tube transmitter. I was not having any success selling the HR-1680 anyway, might as well use it as part of the station. It just fit in one of the cubbies of my operating desk — and that was better than letting it take up space on the floor. 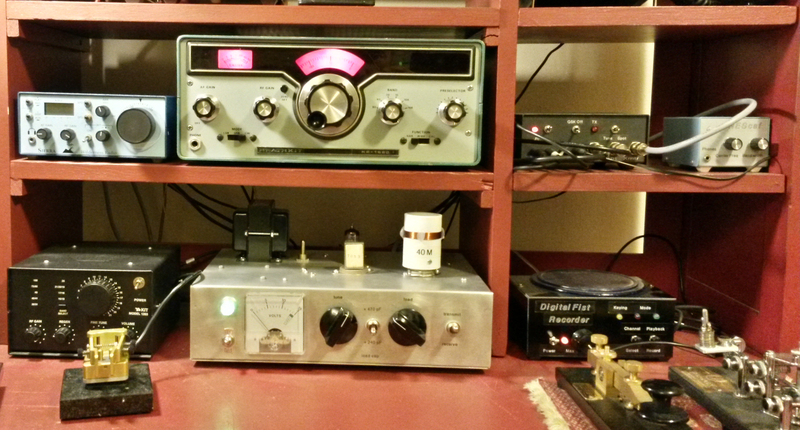 Hooked up to the Magic Box (t-r switch), it played nicely with the 2-tube transmitter. The month of April and part of May sped by, and finally Karl drove by my place one Saturday and dropped off a bankers box containing the rig and some documentation from the original builder. It was bigger than I expected, and two pieces: a 250v power supply, and the actual transmitter itself. It was impressive – not the least because it sported a prominent label, in large red letters, reading “DANGER HIGH VOLTAGE” right in front. This was a serious rig. The rig had a name: The QRP Blowtorch. The documentation, written by the builder of the rig, Stan WB2LQF, was detailed, including copies of the original articles that inspired the rig, and a journal entry from Stan with his thoughts about it, including observations about what needed improvement. The rig is an implementation of design from an article in the January 2003 QST, entitled “The Two Tube Tuna Tin Transmitter (T5)” by Steve Johnston WD8DAS. 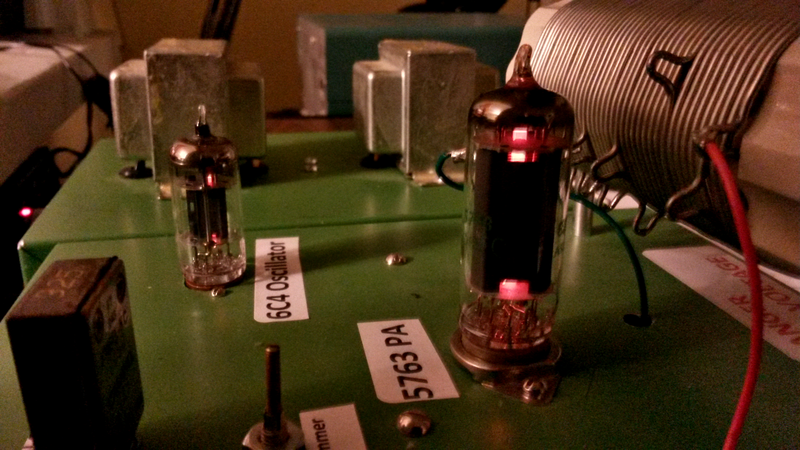 It was a classic MOPA design, using the same two tubes as my 2-tuber: a 6C4 oscillator, and a 5763 final amplifier. In fact, the guts of the two circuits are almost identical. It came with a clever power supply made from two filament transformers back-to-back, using a diode voltage doubler to produce a B+ voltage of 250v. The article claimed an output of 5 – 8 watts. I’d be thrilled with five. I figured I might do some checkout on it, and maybe the two mods Stan mentioned in his notes, and then take the rig up. Putting it on the bench for checkout revealed a very competent point to point wiring job, and no surprises. Everything looked ship shape, I would have no qualms about firing it up. Stan had mentioned in his notes that he intended to add some more filter capacitance to the power supply, and possibly to the output tank as well. I ordered a couple of caps from Mouser and added them to the PS, but I wound up not do in anything to the tank. It seemed to be to be loading up just fine on 40 meters, so I let it be for now. My immediate impression was that the rig was too big to try to incorporate into the QRP stack, with the two bulky boxes and interconnecting cables. We are fortunate enough to have a vacation home in central New York state, where presently I have no station set up. The QRPBT seemed a likely candidate to become a permanent second station at the up-state QTH. 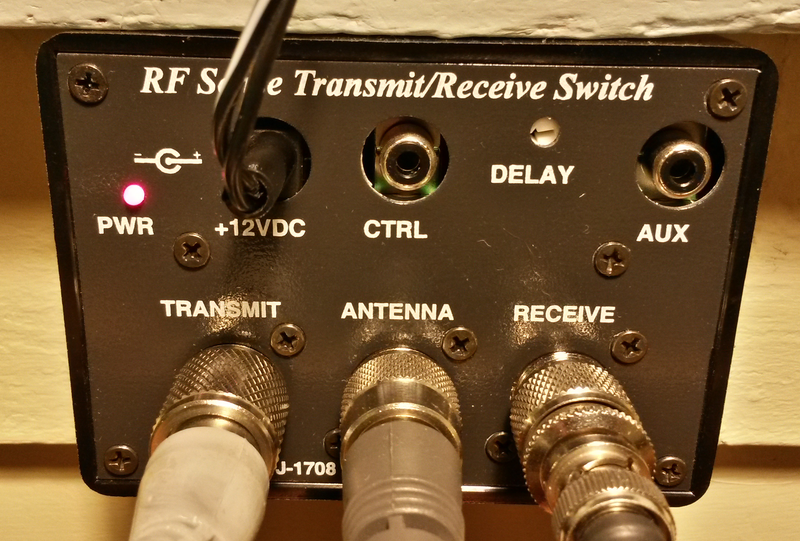 The T-R switch was easy: MFJ makes a simple unit with RF-sensing, the MFJ-1708, that got good reviews on eHam. Looked like just the thing, and I ordered one forthwith. It is relatively compact for a tube rig. They are very highly regarded, positive reviews abound. They are plentiful. If you can’t find one on eBay, wait 5 minutes. I didn’t have to look long. Several classified ads and eBay auctions later, I found my new (old) receiver. In nice cosmetic condition, and good operating order, a working Drake 2B arrived soon. What a lovely receiver. I set it up, hooked up antenna and plugged it in, and began to explore 40 meter CW with it. I was sold. My 2B was made around the mid-sixties, about the same time as the original QST article that described my 2 tube transmitter came out. They are a good pair, and I decided to keep the 2B in the QRP stack, and move the HR-1680 upstate. I expected to have to do major surgery to the operating desk, but it turned out that simply popping out one shelf did it. Okay, so transmitter, check; receiver, check; t-r switch, check; the only remaining item was an antenna tuner I could leave upstate. Back to the ads. This time, I found the field on eBay to be a tad expensive for my tastes, but a nice MFJ-941c turned up in the classifieds for cheap and I jumped on it. The 941c is not without its faults, but it serves perfectly in the new station. 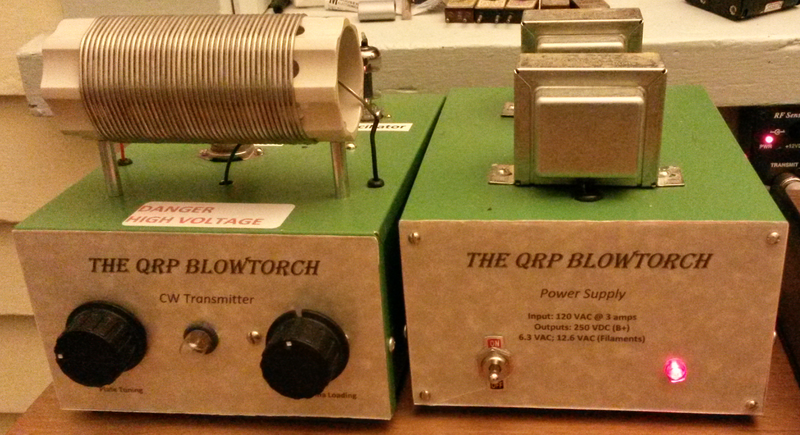 So finally, in mid-July, the QRP Blowtorch made its debut. On Sunday 7/26, after hanging around on 7.054 for a while, I called WO1W, Gene in Rhode Island, and we had a brief but solid QSO lasting about 10 minutes. 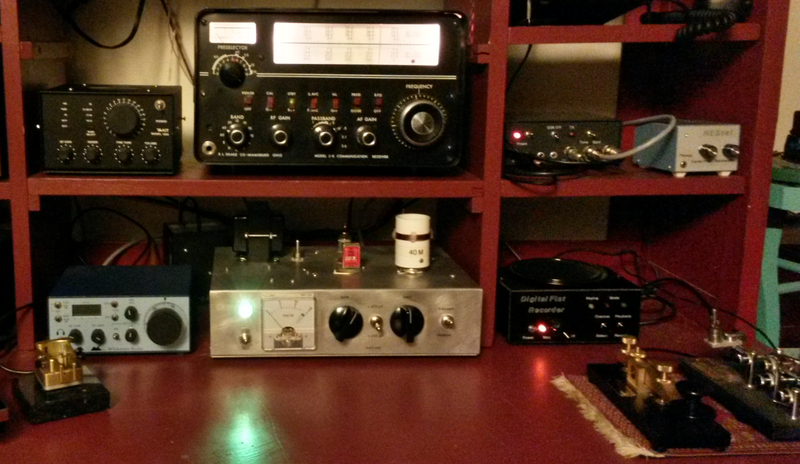 Gene gave me a 589, which pleased me greatly, and the QRP Blowtorch had indeed ridden again. There are several weeks left to the summer, and I am looking forward to making a several more QSOs as the warm breezes waft in through the shack window, illuminated by the glow of those tubes. This entry was posted in Ham Radio and tagged Amateur radio, building, ham radio, Homebrew, low power, MOPA, PCARA, QRP, QRP Blowtorch, QRP operation, Radio, transmitter. Bookmark the permalink. I love the final photo – the close-up with the tubes glowing. Very appealing. Great stuff Mike – thanks for the post!